The Primary Treehouse: Author and Book Study Linky Party and a SALE! For starters, it is Teacher Appreciation Week! 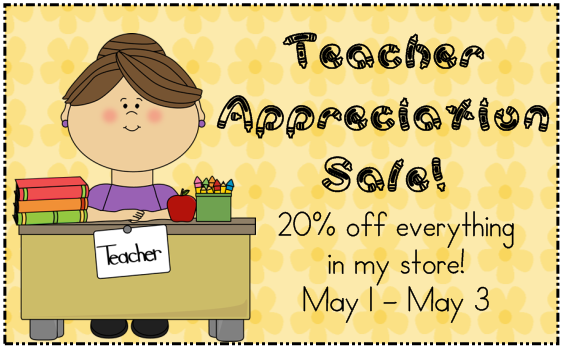 In honor of all you wonderful teachers out there, I am throwing a sale. It starts May 1 and lasts for 3 days! Be sure to check it out! 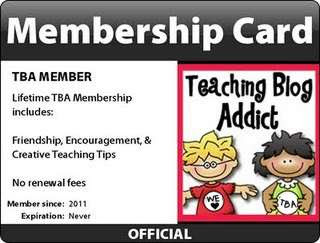 Click on the link below to head over to my TPT store and fill up your wishlist for Wednesday! Ok folks!! I am braving it! 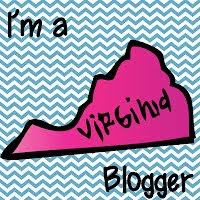 I am going to host my first ever linky party. Let's see how it goes (Hopefully I do it right! lol). The end of the year is nearing and my reading series will be finished early leaving me with about four weeks left at the end of the year. I am thinking that this is a perfect opportunity for some fun author studies and book studies. Do you do this too? Here is my plan: I am going to focus on a new author each week or so. I am thinking...Jarrett Krasoczka, Mo Willems, Laura Numeroff, Doreen Cronin, Leo Lionni, maybe some Pete the Cat and Skippyjon Jones...maybe some Eric Carle, David Shannon, Kevin Henkes, and Jan Brett. I know! This is way more than 4 weeks worth, but I have so much trouble choosing my favorite authors!! So here is how this linky will work. 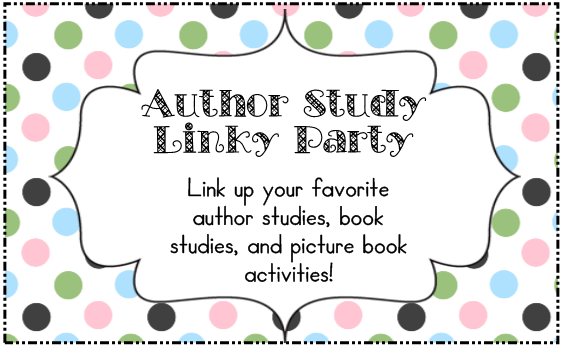 Link up your favorite author studies, book studies, or even just your favorite picture book activities! Who is your favorite author? I can't wait to see what great ideas you come up with! but when I click on it, it says This file does not exist....help! Oh, no! I am not sure what is wrong. This is my first linky party and I am still trying to figure it out. Perhaps you could try linking it again? Maybe the URL just didn't take??? I'm sorry!! Looks like fun! Thanks for hosting this linky party. Can't wait to see all the great activities. Great idea for a linky party...thanks for posting, off to pin it! Fun idea! Thanks and nice to "meet" you! Wow! Thank you so much you guys! 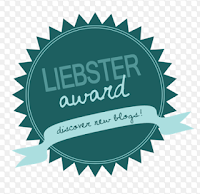 I am so excited about this linky and I am having so much fun checking out your great activities. I can't believe how many great comments and link ups I have! YAY! Thank you for the wonderful support and feedback! Thanks for this linky party! I LOVE children's literature and am excited to find some great TpT products for teaching with literature. Thanks so much for doing this! (One day I will learn how lol). I have linked my Kevin Henkes author activities. I also link my Writer's workshop binder because it has a whole section on author studies and activities on Nina Laden. Feel free to delete it if it's not what you want. I LOVE doing author studies. I'm in school until the end of June so this will be fun to get new ideas. I do author studies all year. Thanks so very much for this opportunity! Hi Jessica! I just linked up! 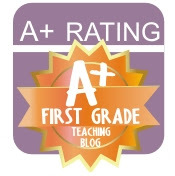 I also just found your blog through TpT, I'm your newest follower! Wonderful Linky! I had to add 2 because I couldn't choose. :) We try to do a "book/author" of the week. We do various writing activities during the week and make some type of craftivity on Fridays. What a great idea for a linky party! Author studies are my favorite thing. Thanks for hosting this.